The second photo is of Claire and I with our with brilliant designer Andrea Kearney (left) and amazing editor Lucy Mackay-Sim (2nd left). Lucy told us that The CFG is already going to be reprinted which is great news! 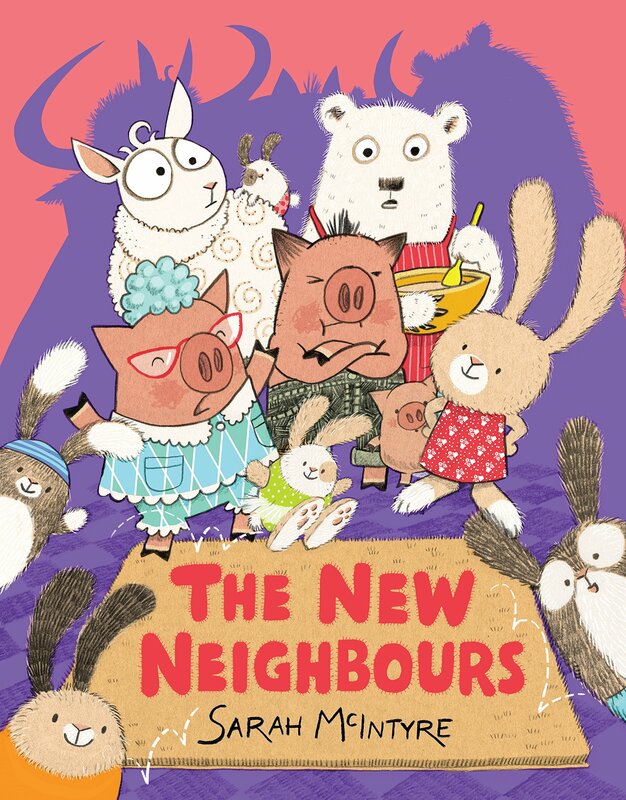 By the way, Sarah has a fab new picture out called the The New Neighbours which sees the return of her characters from The DFC comic, Vern & Lettuce. It’s a beautiful book – Sarah’s artwork has never been better – with a great message about prejudice – find out all about it here. 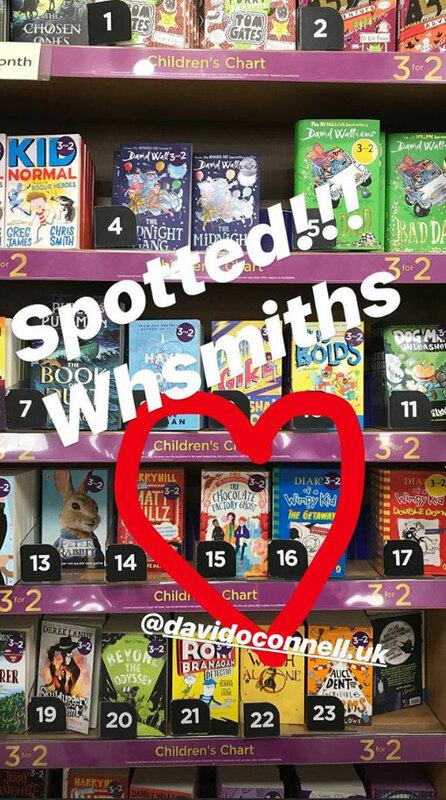 And this morning, Claire spotted The CFG in WHSmiths children’s chart! It’s so exciting to see our book nestled amongst the celebrities and big name books. Fingers crossed it does well. Out today – The Chocolate Factory Ghost!